REspond enquiries are responded to with your own templated emails. Even out-of-the-box, the templates are so dynamic they’ll fit your business but you can edit them any time. Every enquiry is a potential tenant so each enquirer is automatically invited and registered for your inspections inside REspond. Inspection invitation RSVPs show you who is coming to your inspections. REspond can also send optional SMS inspection reminders or SMS inspection confirmation requests based on your own time settings. Following an inspection, attendees are emailed asking for feedback and offered a link to an application form/service or anything else you wish your template to say. Use this calculator to see how much time you spend on average on leasing enquiries. 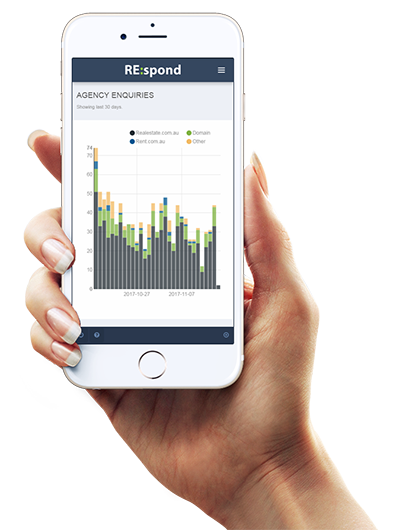 REspond can be used on all smart devices and it is separately optimised for phone or tablet interaction. At inspections, REspond is a mobile inspection manager. Confirm registered attendees when they arrive, catch missing details, record notes and/or quickly add unregistered attendees. REspond is run on Google’s cloud infrastructure for ultimate reliability. Email is delivery is best-in-class so your clients won’t see your emails as spam thanks to Amazon AWS SES. With no Realmatic or REspond branding, your emails look like they are coming from you. REspond appears disturbingly human to your clients so the default emails templates contain the words “this is an automated email”. 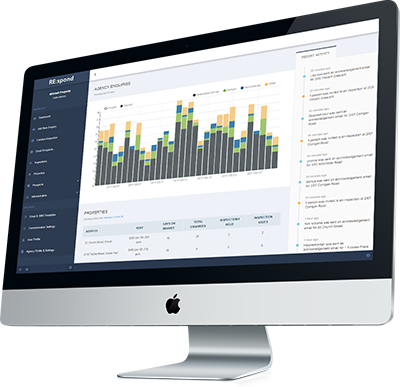 REspond is very user-friendly so new users require little or no training. Is REspond an “Inspect Real Estate” alternative? Yes, however, REspond does not allow prospective tenants to make their own inspection appointments like other similar services. REspond automatically invites enquirers to new and existing inspections which are advertised online or made directly in REspond for registered enquirers only. This method is more automated, gives much more control to agents and is more personal for your clients. Please let us know and we will get back to you ASAP.